I Gave Her A Ring, But It's Me Who Found The Diamond: Sumeet Vyas Reveals His Love Story! 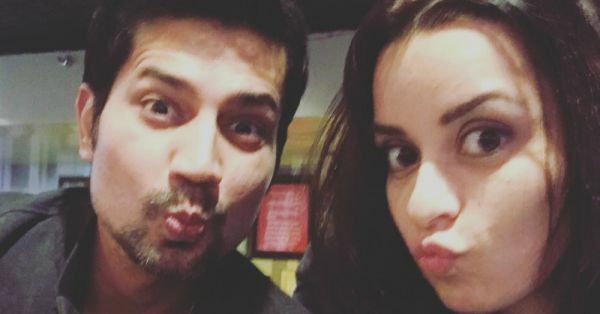 Wedding bells are ringing loud and clear for one of the cutest celebrity couples - Sumeet Vyas and Ekta Kaul. The lovebirds, who had been keeping their relationship under the wraps for the longest time, recently announced their engagement and we couldn't be more excited for them. Sumeet rose to fame with his role as the goofy Mikesh in TVF's web-series Permanent Roommates. He was loved and adored by the audience for his cute slip-ups and his portrayal of the guy who just had no idea about anything, ever! "Ekta is a beautiful person. I decided to pop the question a few days ago and slipped a ring on her finger before she could change her mind! I am glad she loved it and has accepted my proposal. Unfortunately, I got the size of the ring wrong, which can be expected from a guy like me." Somehow, we just feel like giving him the benefit of doubt because come on, that's Mikesh/Sumeet for you! The couple is all set to tie the knot and become 'permanent roommates' on 15 September and just a week before the wedding, Sumeet revealed the cutest details of his love story to Humans Of Bombay. 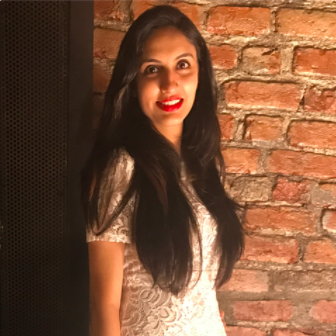 "I’d been single for sometime – you know that phase where your friends say ‘you’re single, doing well, don’t get into a relationship’? – I tried but got over it quickly. Around then, I met her.. at shows & on sets, but I didn’t know how to pursue her! She tweeted about my show & we started talking – I invited her to my play & we went out after!" "We ended up talking for hours about acting. By the third time, I had a feeling she wasn’t getting it! So I specified, ‘This is a date okay?' & she just nodded! She’s not from the acting circuit – she was discovered by chance. It was a breath of fresh air! I’ve been around serious artists all my life... this was so different! Even our choices didn’t match! The first movie we watched was La La Land – I came out of it all emotional & she was like eh! I thought, 'oh no–how’s this going to work?'" "When we started dating, I was at sea. How do I impress her? I told her that I’m kind of famous as this character, Mikesh. She wasn’t bothered! When people asked me for photographs - she’d wonder why! The next time we met, she’d watched my entire show! I asked her how she managed to because it was so long. She said she watched it while getting ready! I was confused – Why wasn’t it affecting her! But that’s how I knew she was with me for the right reasons. It’s not one big moment when you know you’ve met ‘the one’. It’s how they make you feel every day and whether they make you a better person or not and well, she does. One such moment was last year during Holi! I rode my bike to a party & had a little bit of bhang. I was in no state to ride. She saw that & took the keys – I thought she was joking! I mean it was a Bullet! But she just got on & off we went with me in the backseat & my lady riding the bullet. I thought then, 'Man! I’m going to marry her! She’s the one!'" Ufff, our fragile hearts cannot handle all this love! The cuties are all set to get married on 15 September and we just can't wait for them to become roommates forever!